Willingdon MB Church, 1961 building. The Willingdon Mennonite Brethren congregation in Burnaby, British Columbia began services and formally organized in 1961, and held its first service on 30 April 1961 with 116 in attendance. It also joined the British Columbia Conference of Mennonite Brethren Churches that same year. George Letkeman is considered the founding leader of the group. The congregation originated through division from the Vancouver Mennonite Brethren Church due to the increasing size of the congregation. By 1965 the average attendance was 200. The first building was constructed in 1961 at a cost of $78,000, seating 450. A Christian education wing was added in 1972-73 and by 1975 the average attendance was 360. The congregation began a second service in 1976 to accommodate the increasing numbers. However, rapid growth continued throughout the 1970s and a new sanctuary was built in 1982. The congregation's first youth pastor was hired in 1972, and a Boy Scout ministry and Play School ministry were started in 1974. Under pastor Herb Neufeld, the Elder model of leadership was initiated in 1977. Other Mennonite Brethren congregations in British Columbia, strongly influenced by Willingdon Church, also introduced this model of leadership in the following years. Willingdon Church continued to experience a rapid rate of growth through the 1980s, leading to the planting of Cornerstone Community Church in 1986 and Hyde Creek Community Church in 1989. A Spanish ministry was established in 1985 and a Korean ministry was established in 1988. A Deaf ministry, established in 1982, operated until 1995 when the Deaf Community Christian Church was formed. The average attendance at Willingdon Church in 1985 was 1,100. Growth continued throughout the 1990s. A ministry center was completed in 1992 and average attendance was 2,200 in 1995. The congregation moved to three services in 1999. The 1990s saw the establishment of a Food Services Ministry and a Cantonese Ministry in 1992, a Japanese Ministry in 1994, and a Mandarin Ministry, Indonesian Ministry, and Russian Ministry in 1996. The first decade of the 21st century saw the establishment of a French Ministry and Romanian Ministry in 2000, a Saturday evening service in 2003, an Arabic Ministry in 2005, the Willingdon Fine Arts Academy in 2005, Alongside Ministry in 2007, a second Saturday evening service in 2009, and the Connection Worship Centre in 2009. The Willingdon School of the Bible, established in 2003, offered college-level courses covering the entire Bible. In 2007, reFocus Canada was established by the church, dedicated to bringing a biblical refocus to Canadian churches by holding an annual Preaching & Theology Conference, Expositional Preaching Seminars, and developing the reFocus Canada Network of like-minded pastors committed to biblical expositional preaching. The Willingdon School of Missions, providing training for short-term missions, and the Willingdon School of Ministry, a one-year, full-time pastoral internship program, were both established in 2008. In 2010 the Arabic International Bible Institute was established. The congregation planted an Indonesian Church in 2004 and the Westside Church in 2005, and a formal partnership with Church Planting BC was established in 2009. The language of worship is English, but the congregation has been committed to reflecting the multi-ethnic reality of their community. In 2010 the International Language Ministries provided simultaneous translation of the services and fellowship times in Cantonese, Mandarin, French, Korean, Japanese, Russian, Romanian, Spanish, Farsi, and Arabic. In 2005 the average weekly attendance, including all services, was 3,353; in 2010 the congregation's membership was 2,504 and the average weekly attendance in five services was 4,015. In 2015 membership was 2,493 and the number of active attendees was 5,194, with an average weekly attendance of 4,632. About half of the congregation was ethnic Asian, and sermons were translated into nine different languages simultaneously. At that time the church was identified as the second-largest Protestant congregation in Canada. Canadian Mennonite (19 May 1961): 1; (24 November 1961): 29. Mennonite Brethren Herald (27 May 1988): 18; (17 May 1991): 15. Mennonite Reporter (6 September 1976): 9; (9 January 1989): 8; (11 November 1991): 12; (7 August 1992): 24-26. Todd, Douglas. "Rocking To A Moral Beat: Charismatic Leader, Plus a Cafeteria and Candy Shop Add Up to B.C. 's Biggest Protestant Church." Vancouver Sun (14 May 2011): A14. "Willingdon Church Historical Sketch." n.d., 5 pp., Mennonite Historical Society of Canada collection, Mennonite Archives of Ontario. Epp, Marlene and Richard D. Thiessen. "Willingdon Church (Burnaby, British Columbia, Canada)." Global Anabaptist Mennonite Encyclopedia Online. May 2011. Web. 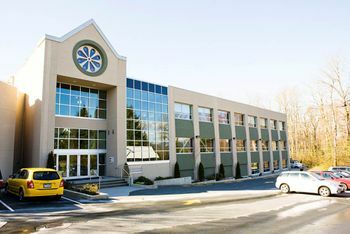 21 Apr 2019. http://gameo.org/index.php?title=Willingdon_Church_(Burnaby,_British_Columbia,_Canada)&oldid=146911. Epp, Marlene and Richard D. Thiessen. (May 2011). Willingdon Church (Burnaby, British Columbia, Canada). Global Anabaptist Mennonite Encyclopedia Online. Retrieved 21 April 2019, from http://gameo.org/index.php?title=Willingdon_Church_(Burnaby,_British_Columbia,_Canada)&oldid=146911.